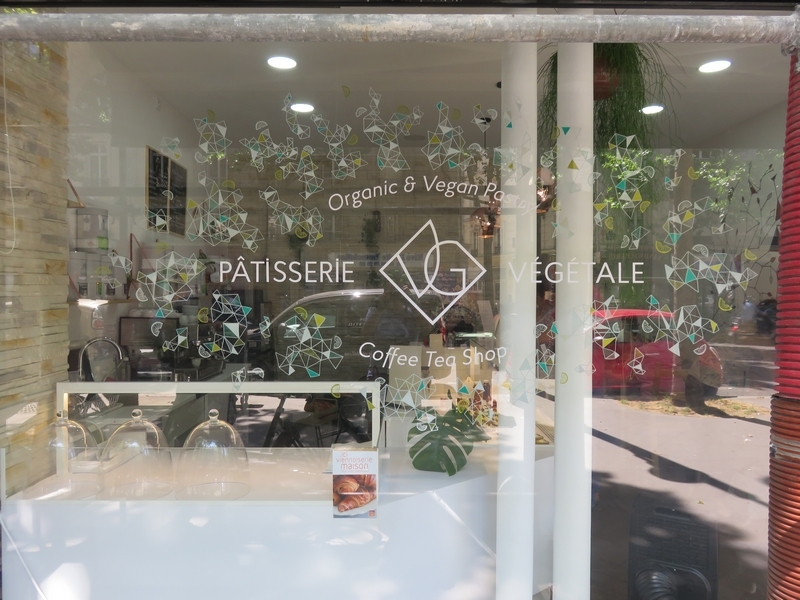 Restaurant review #125 – shop review #35- VG Pâtisserie is an organic and vegan pastry shop/bistro in Paris. 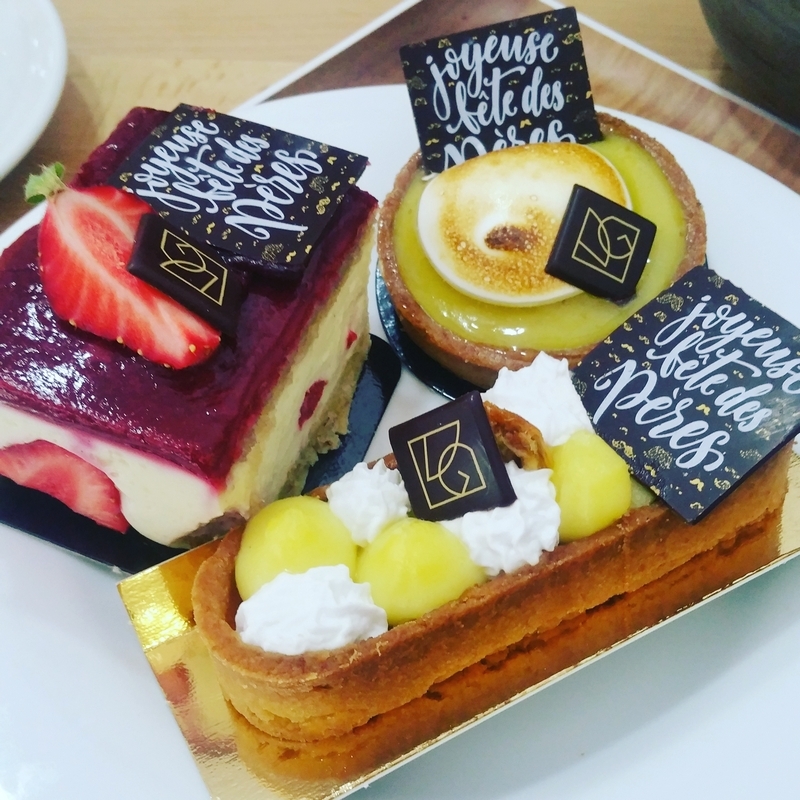 We had seen pictures of their beautiful creations on social media, and definitely did not want to miss this on our visit to Paris a couple of weeks ago! 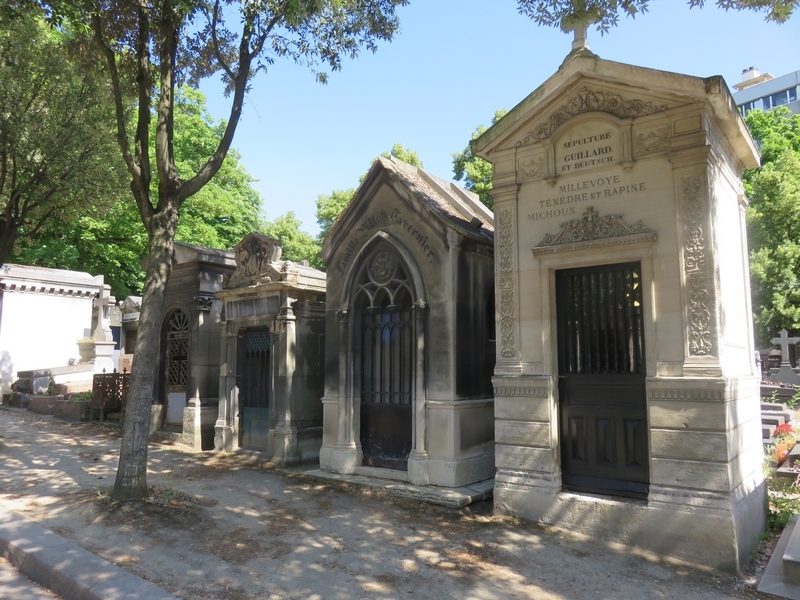 It is located on the east side of town, in between the Place de la Bastille and the famous cemetery Père Lachaise. In the morning, VG Pâtisserie serves breakfast and brunch, in the afternoon only pattisserie. One can also place an order and collect at the shop. 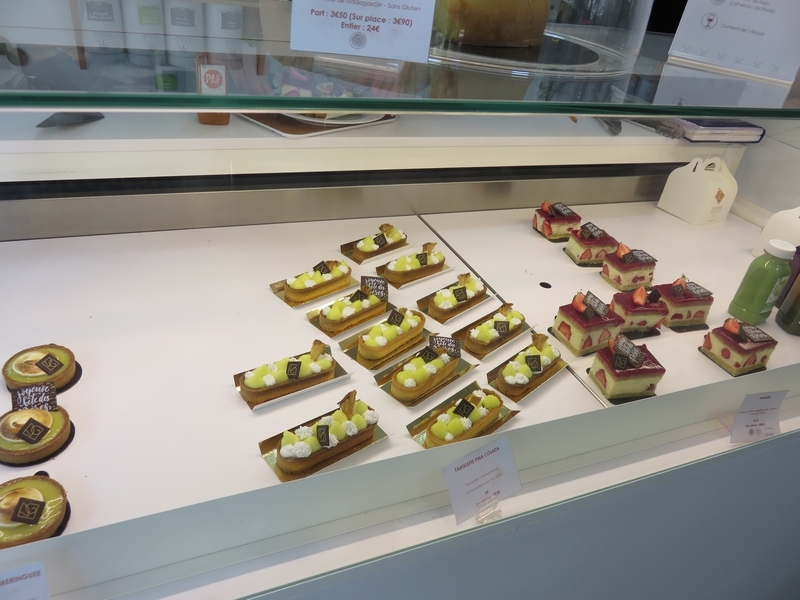 We saw a lot of people coming in and collecting their order or buying pastry from the shop (also because it was Father’s Day in France). VG Pâtisserie is a rather small place, with only two seating tables. We were lucky that people from one table just left as we arrived, and we could take a seat. Choice of pastry in the counter was rather limited (3 sorts of pastry), but we were there on a Sunday, the day before their closing Day, so they were selling out. 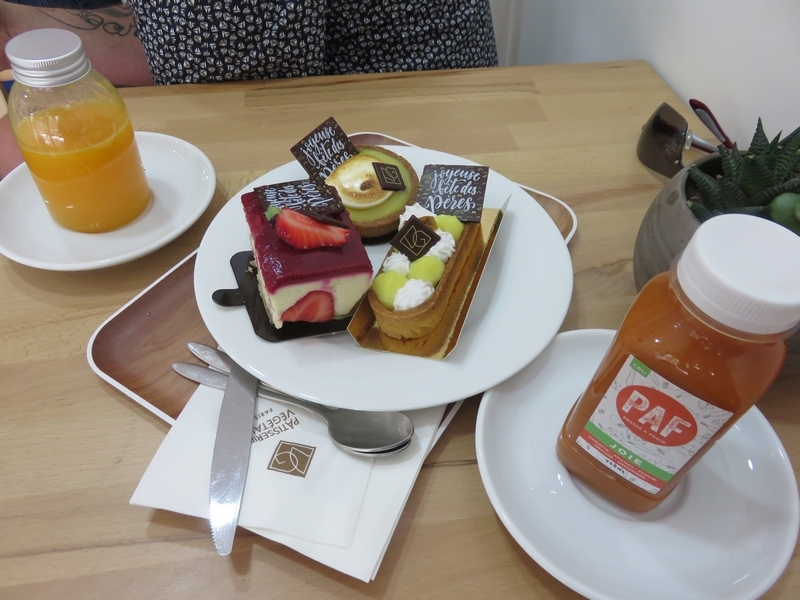 We ordered at the counter, and the pastry was brought to our table. One was lemon and meringue, one with strawberries and raspberries and a pina colada (with pineapple). The drinks were pre-bottled juices, and were not really cold, which was a pity. Pastries were about 6€ a piece, I forgot to note the prices of the drinks. It was a really hot couple of days in Paris, and the place was being cooled by what seemed like an improvised airco (going though the front door). 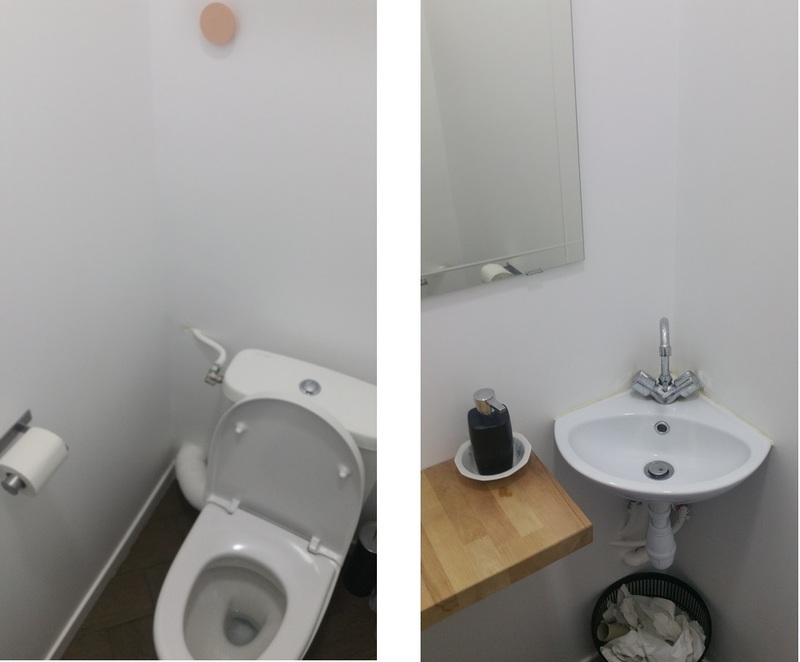 The toilet was clean, although no napkins to dry one’s hands. 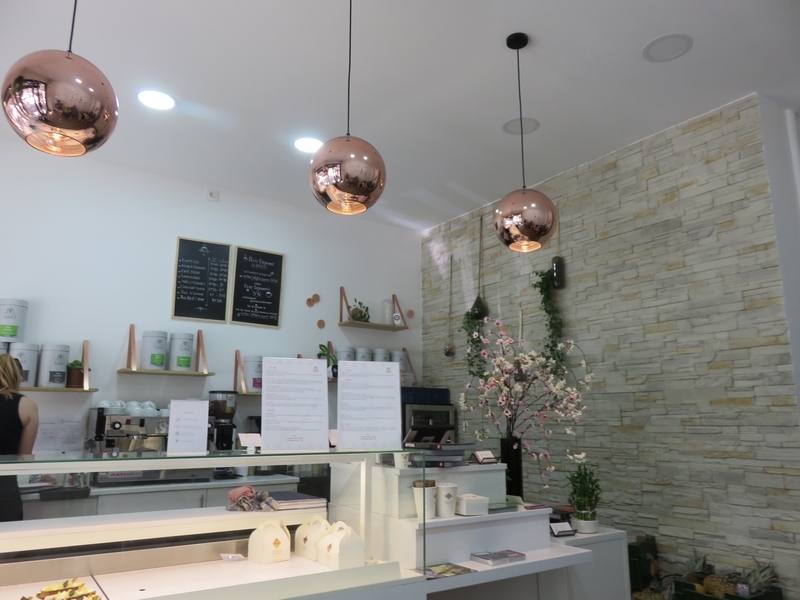 The interior is nicely renovated, with a light and bright decor. Absolutely loved it! 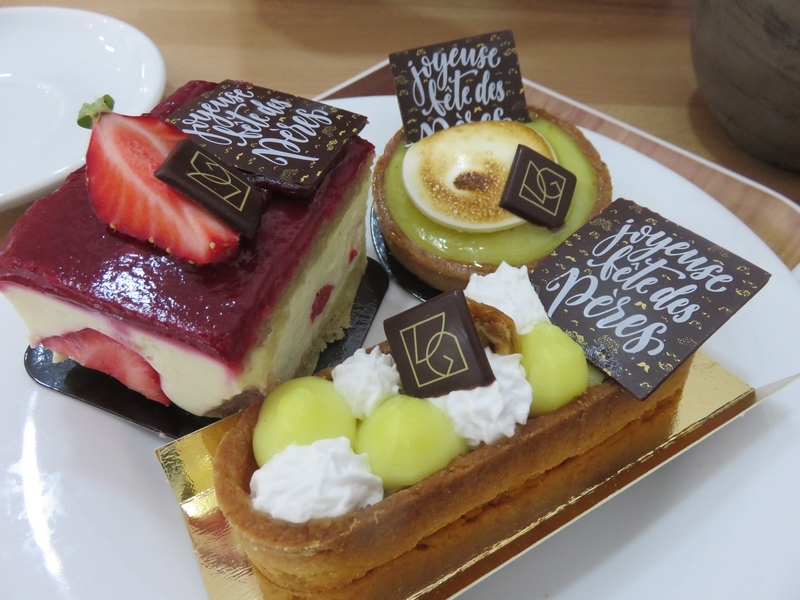 If this patisserie were in Bruges or even Ghent, we would definitely become regular customers!